"The Soul of the Man!" Guest-starring Eclipso. 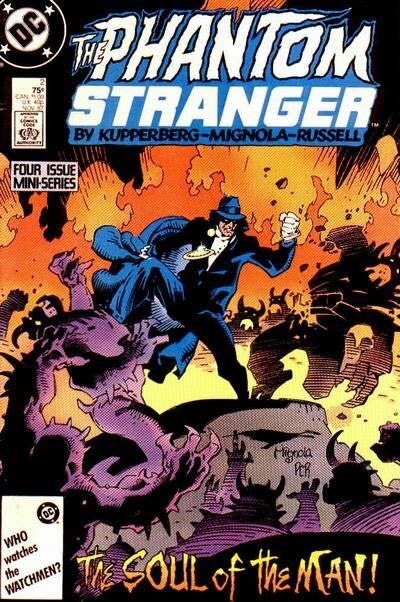 Written by Paul Kupperberg. Art and cover by Mike Mignola and P. Craig Russell. Bruce Gordon and Jenet Klyburn challenge the forces of nature and the nature of magic at the Earth's core! Includes a 1-page text history of the Phantom Stranger "Is He Man or Ghost?" by Paul Kupperberg. 32 pages, FC. Cover price $0.75.